So peaceful, and yet so ominous! WOW! Marvellous, beautiful and dramatic...FANTASTIC!! The proverbial "calm before the storm" Makes me feel like those ducks had better head for cover! I like it! Wow! Stunning shot, Jo-Hanna, beautifully composed! 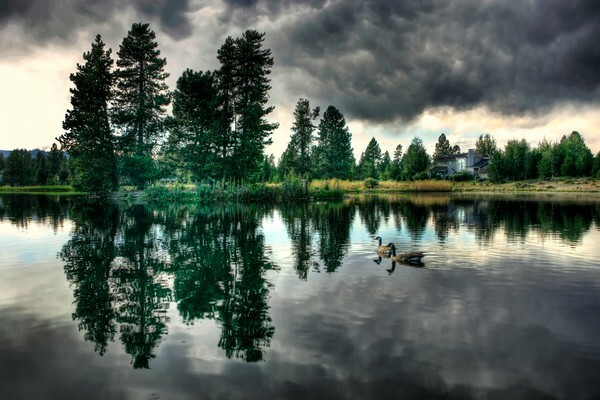 AmazIng reflections and fabulous skyscape!